Street art is and always have been a form of free art and free expression and is accessible to all - this has always been the advocate for street art artists like the world renowned Banksy. This is reflected in his comment on his work in “Banging Your Head Against a Brick Wall” – that street art “is one of the few tools you have if you have almost nothing. And even if you don't come up with a picture to cure world poverty you can make someone smile while they're having a piss.” (Banksy, 2001). This stop exemplifies this perfectly – freely expressed art with no obligatory qualified standards. 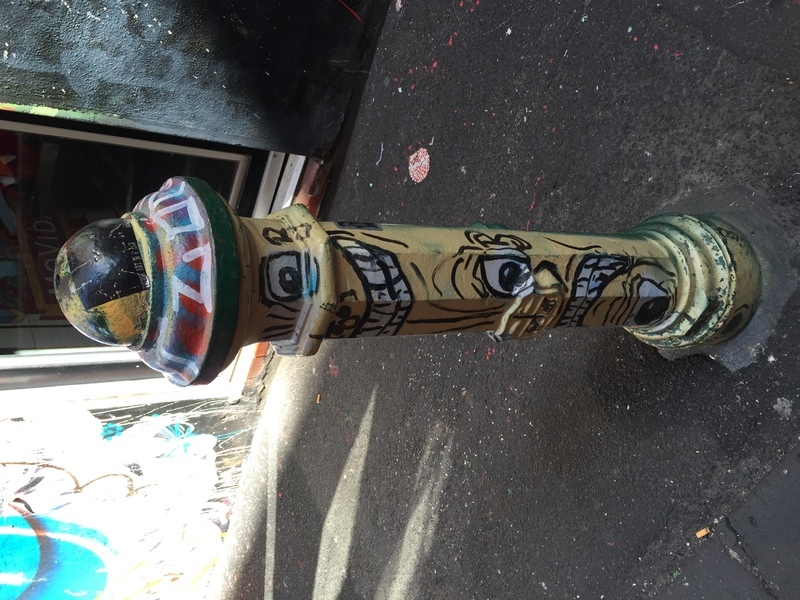 Having been earmarked as the holy grail of Melbourne’s street art culture, Hoiser Lane definitely has its place here on the tour. Here, as the morning sun shines onto the art pieces, some glows to your attention – just like how spotlights make art pieces more attractable in art galleries (such as the 1st picture of a pop up “wallet”). 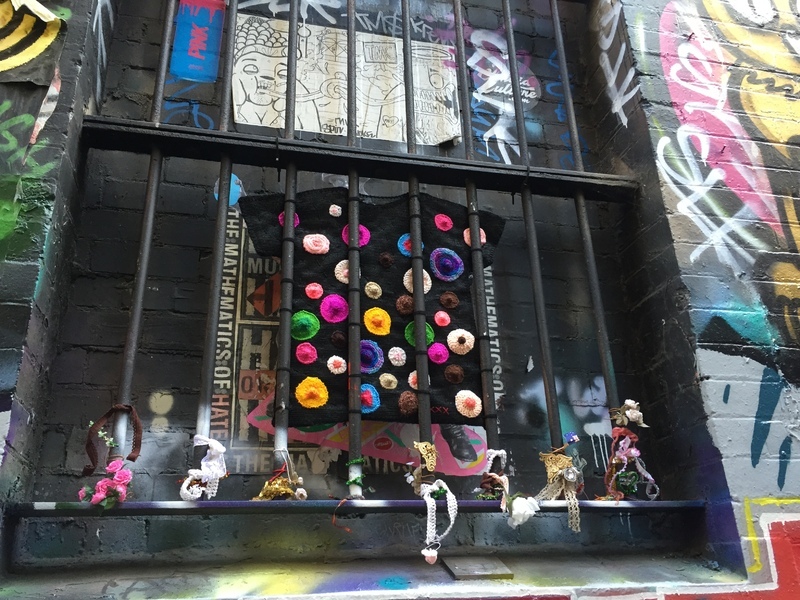 In specific mention is the latter – the portrayal of a “fake” branded long purse wallet (amongst a wide array of work such as Yarn Bombing – Guerrilla Knitting). Possibly one of the intriguing pieces between its counter cultured display, and whether legitimacy stands for owners with such products. Well, you don’t literally have to take a piss along this lane to get a glimpse of such art pieces, but perhaps a cuppa will do the job. 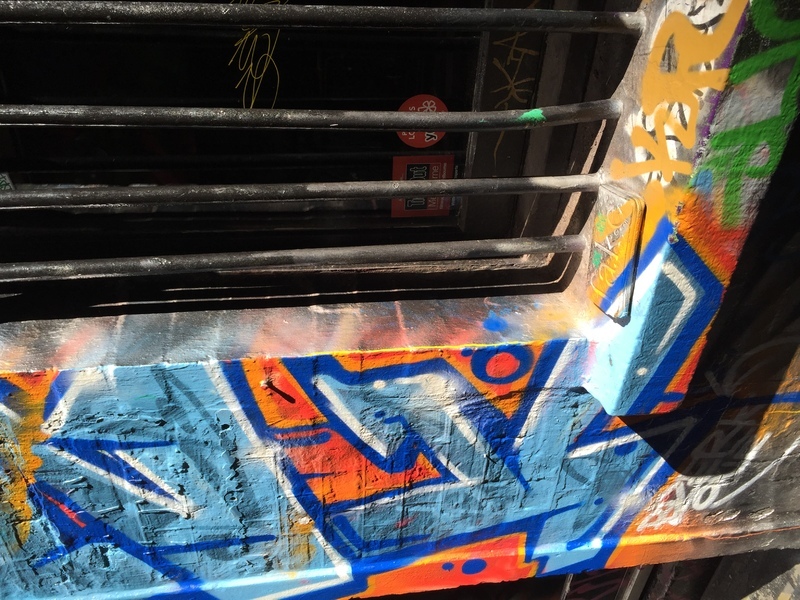 “Stop 1: The Default Place For Your Street Art Fix,” Street Art deTours, accessed April 24, 2019, http://streetartdetours.com/document/1229.